There's so many beautiful places to visit and amazing things to do in Europe. When travelling the continent, you're most likely to have to use Euros to pay for your adventures. The currency code of the Euro is ‘EUR’ and it’s symbol form is ‘€’. It is the official currency of 19 member states of the European Union. However, it might surprise you just how many countries don't use the Euro. There's Denmark, Sweden and Switzerland to name a few. Take a look at our handy infographic below to see which currency each country in Europe uses. The concept of having a European currency had been a strong goal of the EU since the 1960’s. But the Euro wasn’t introduced until January 1st 1999. 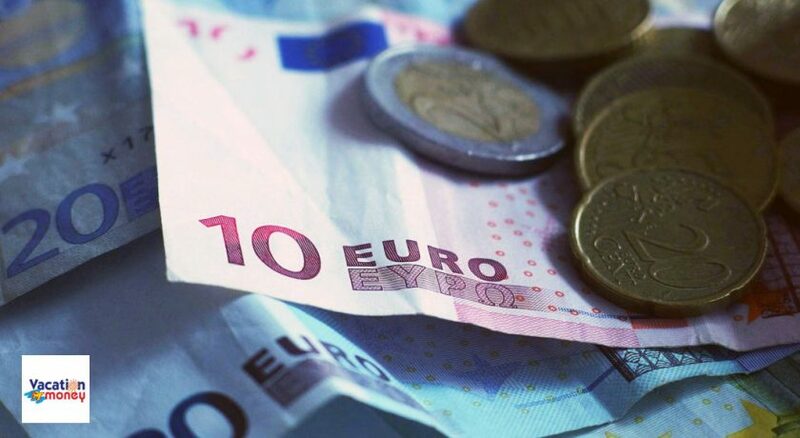 On this day, the first ever GBP to EUR exchange rate was 1.42. The original uses of the currency was just in virtual forms. For example, traveller's cheques, electronic transfers and banking. It wasn’t until July 2002 that coins and notes began to circulate throughout Europe, replacing the old currencies of all the nations involved. This included the French Franc, German Deutsche Mark, Spanish Peseta and Italian Lira. Coming just behind the US Dollar, it is currently the second most traded and second largest reserve currency in the world. Vacation Money is a UK-based currency exchange service provider. Offering excellent rates on holiday money and wholesale currency solutions for businesses.